Easy & Absolutely Delicious Vegan Brownies to The Rescue! Home Nutrition	Easy & Absolutely Delicious Vegan Brownies to The Rescue ! Easy & Absolutely Delicious Vegan Brownies to The Rescue ! Hello chocolaty, gooey, soft and nutty vegan brownies! It was my man’s b-day earlier on this week and I decided to whip him up one of his all-time favorite treats (which is basically any kind of chocolate rich cake that is moist and nutty). These babies were spot on, not only where they absolutely finger-liking good but they are also vegan & since we’ve been loving our increased plant-powered lifestyle lately: I consider this chocolaty experiment a mission accomplished! Time to share the goodness!! This recipe was inspired by Southern in Law’s Vegan Fudge Brownie recipe. I’ve made a few modifications to her recipe by using the ingredients available to me and the result was definitely scrumptious! Izzy’s Online Finds: Food, Body & Mind Power ! Yummy Vegan Chocolate Banana Bread Recipe ! 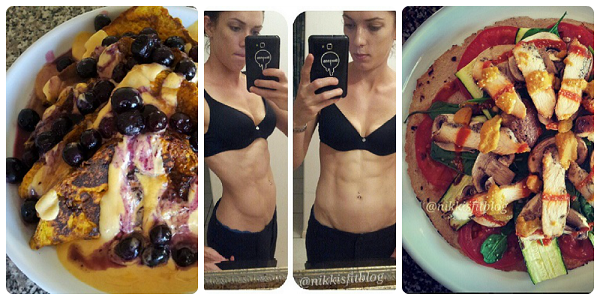 5 Things Tuesday… Turn your “Cheat Foods” into “Fit Foods” ! The Importance of Healthy Eating & Why it Should be A Top Priority!